Millions of photos are uploaded to Instagram daily. Scrolling down your Instagram feed, you’ll find everything from cat photos to picturesque landscapes. It’s not surprising to want to save Instagram photos and use them for yourself. When double-tapping isn’t enough, downloading Instagram photos is a good option. However, saving an Instagram post is very tricky. There’s no “save photo” option to prevent copyright issues. Whatever your reasons are, it’s good to know Instagram’s strict rules regarding copyright. Is It Against The Rules To Download Instagram Photos? Before you download other people’s Instagram photo, learn about Instagram’s copyright rules. Stop other users from copying or distributing your photos or videos. 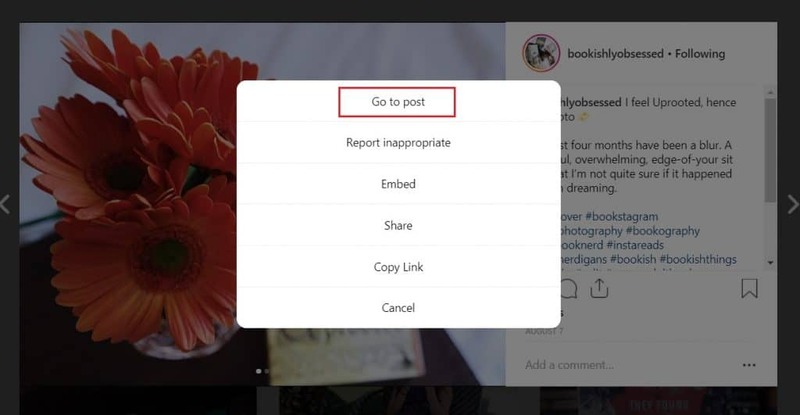 Instagram doesn’t prohibit saving Instagram posts to re-post them later. However, you need to ask permission from the owner. It’s best to get the permission in writing. Lastly, give credit where credit is due. 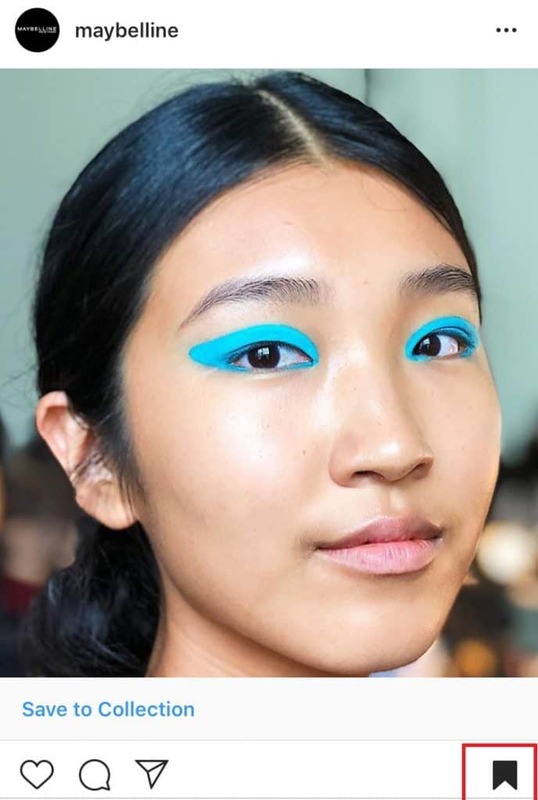 For more details, here’s a thorough outline of Instagram’s copyright rules. How Do I Save Instagram Photos To Camera Roll? Perhaps you want to save photos you’ve taken directly through Instagram. Or you want to save the filtered edited version to your phone. Saving Instagram photos to your camera roll is easy. Simply turn on one setting and your IG photos will be saved automatically. 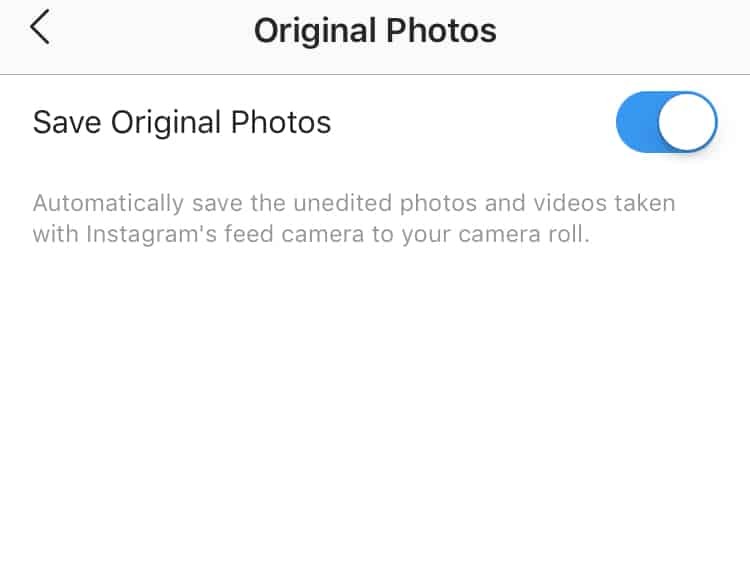 Tip: As long as this option is turned on, all photos you’ve uploaded on IG will be saved to your camera roll. Loved an ad and want to watch it later? 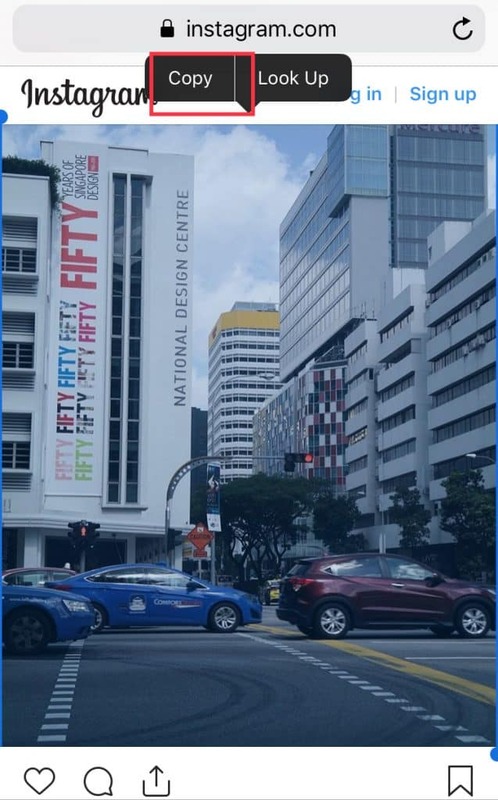 Found a photo peg you want to recreate? Your favorite brand released a new product? You can easily keep track of these posts without taking a screenshot! Last 2017, Instagram added a nifty feature that allows users to bookmark IG posts. 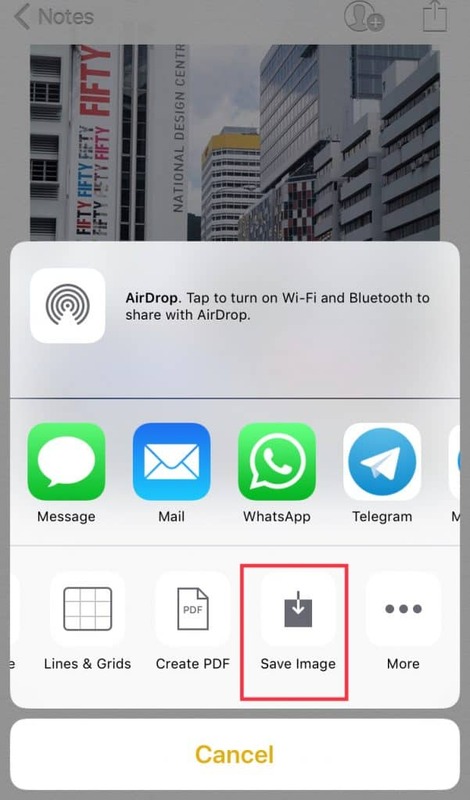 This feature quickly saves the post to a remote folder within the app. How do you bookmark an Instagram photo? 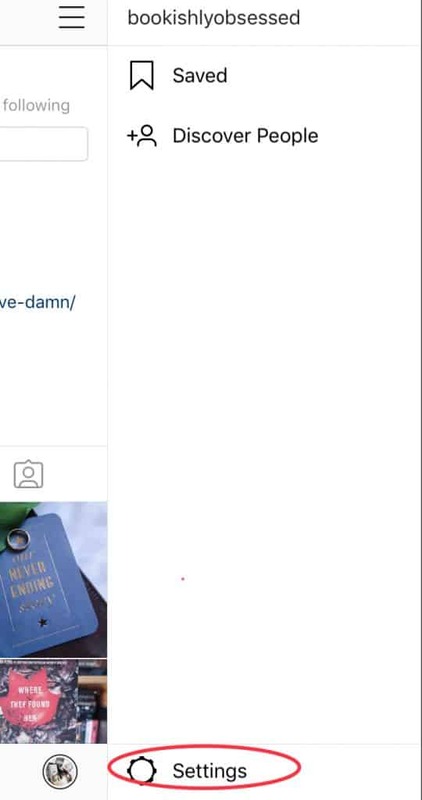 Simply press the bookmark icon – the one that looks like a flag – at the lower right corner of the photo. 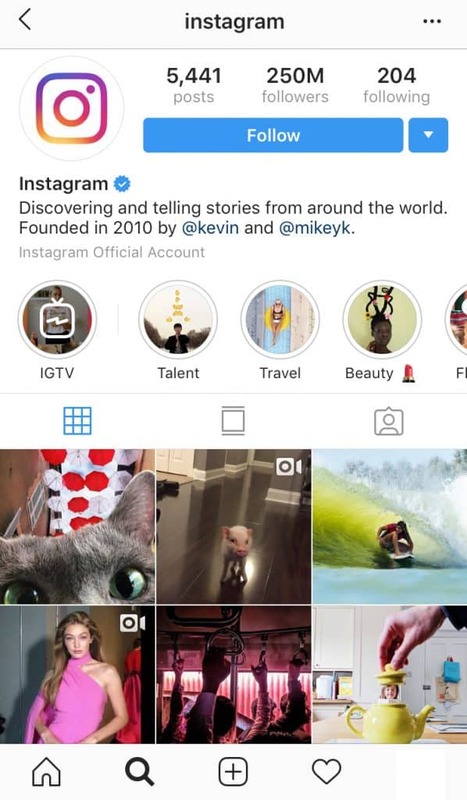 Access the saved Instagram post through your profile page. Tip: Compile and organize similar bookmark posts into one collection. 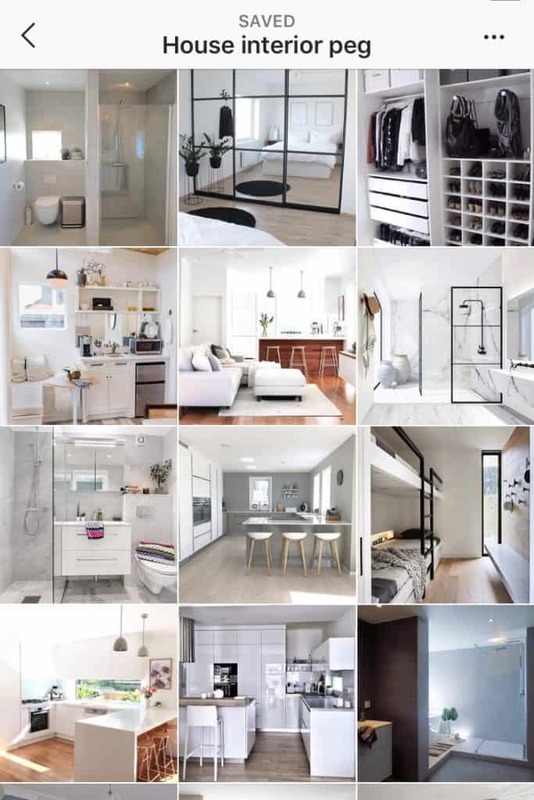 For example, you can save minimalist interior photos in a folder called Home Interior Peg. Think of it like a Pinterest board. Tap Save to Collection pop up. Select the plus icon to create a new album and move bookmarked photos. 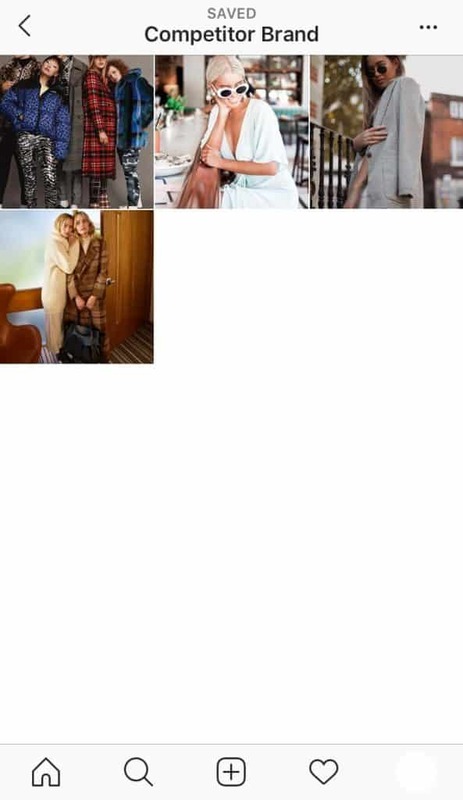 When you save Instagram photos to collections, they will appear like your personal feed. However, the content remains private. The owners of the photos are not notified when their content has been bookmarked by another user. This feature may not be as popular as Stories, but it is pretty handy. For one, Instagram Collection allows you to keep track of the content you want to remember. You can then organize these posts into individual albums. 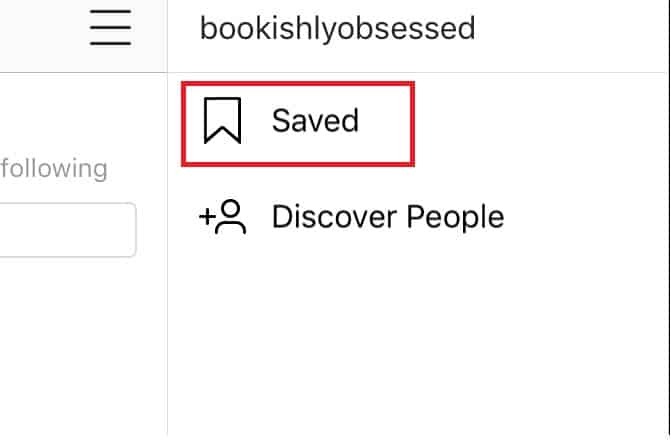 Why Save Instagram Photos To Collections? 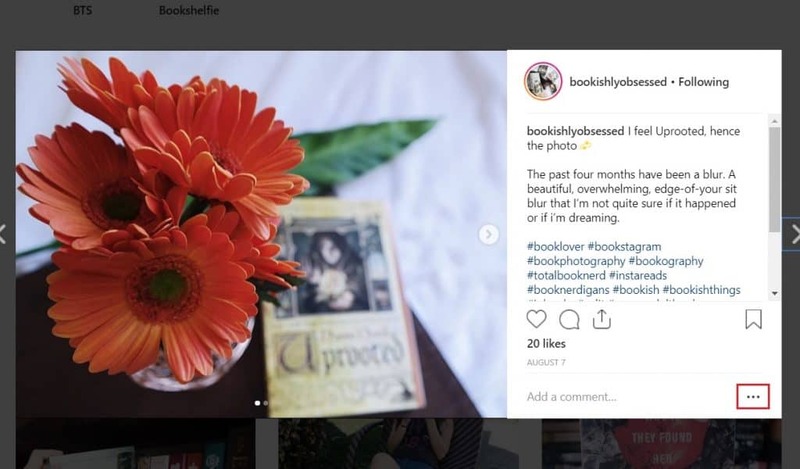 Save Instagram posts that have mentioned your brand. Look for photos or videos where you’ve been tagged or create a unique hashtag. Add these content into an Instagram collection. This will serve as your inventory of user-generated content. Remember to ask permission from the owner before you re-share their post. Take a look at this Instagram post by Apartment Therapy. The original post was tagged with #apartmenttherapy. If you look into Apartment Therapy’s IG account, they mostly share user-generated content. It makes good business sense to scout your competition. Know what your competitors are up to. Save Instagram photos to keep track of how much engagement they get on particular posts. For example, create a collection to save posts with entertaining captions. This will serve as an inspiration to make new and even better content. Don’t worry! Saving Instagram posts to collections is completely private. Your competitors will never know. Save Instagram photos that inspire you. Think of your collection albums as a digital vision board. It could be about anything. Whether it’s a photo pose you want to recreate or a gorgeous flat lay- save it to your private collection. Use this collection when you are ready to make your vision a reality. Search for photos, videos, or hashtags that are relevant to you. Keep your creative juice flowing! But I Want To Save Instagram Photos To My Camera Roll! You’ve probably tried right clicking an Instagram post to save it. Or you’ve long pressed a photo while viewing it through the app. 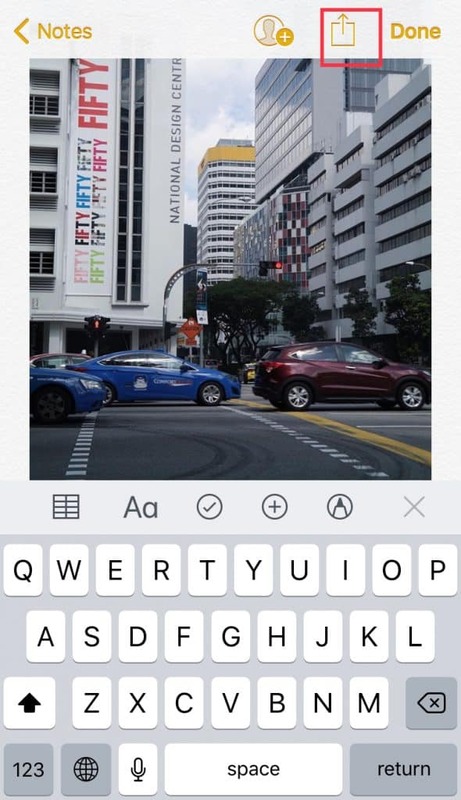 Wondered why no “Save Image” pops up? Instagram doesn’t have a problem with automatically saving your own Instagram posts to camera roll. Bookmarking other people’s posts is also okay. Saving other people’s photos or videos is a different story. 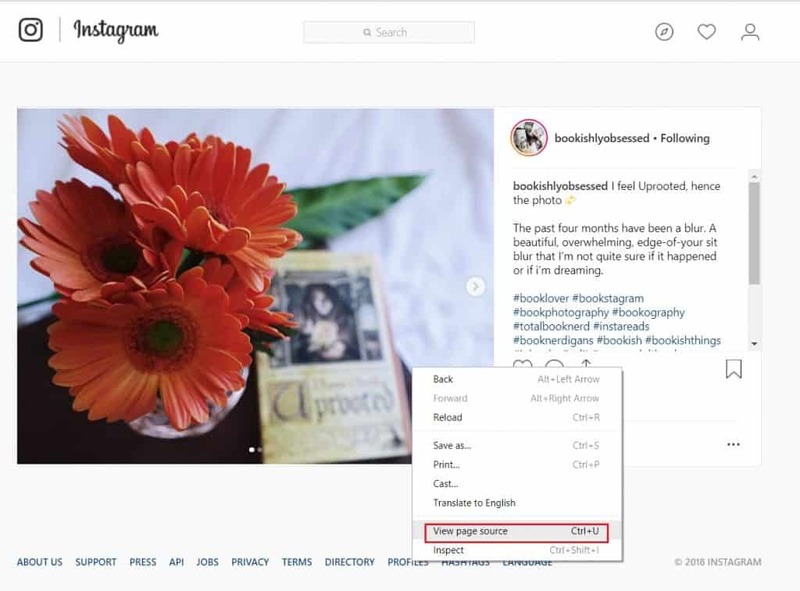 You can’t save photos directly from Instagram- whether by website or mobile. This is apparently for copyright protection. 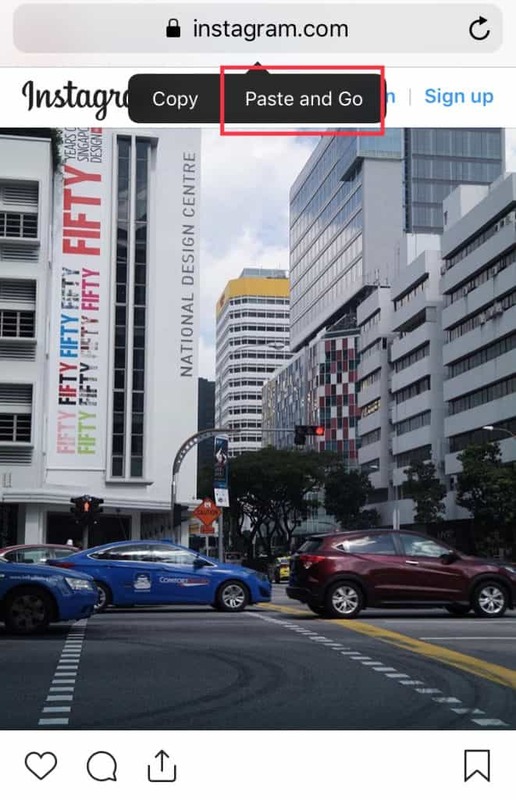 You will need the owner’s permission if you want to use their content. Tip: Familiarize Instagram’s copyright rules to avoid issues. Remember that it’s against Instagram’s terms to use other’s content without their permission. Tap the “…” on the top corner of the post. If you’re not scared of a little coding, these steps are easy to follow. Access Instagram through your desktop. 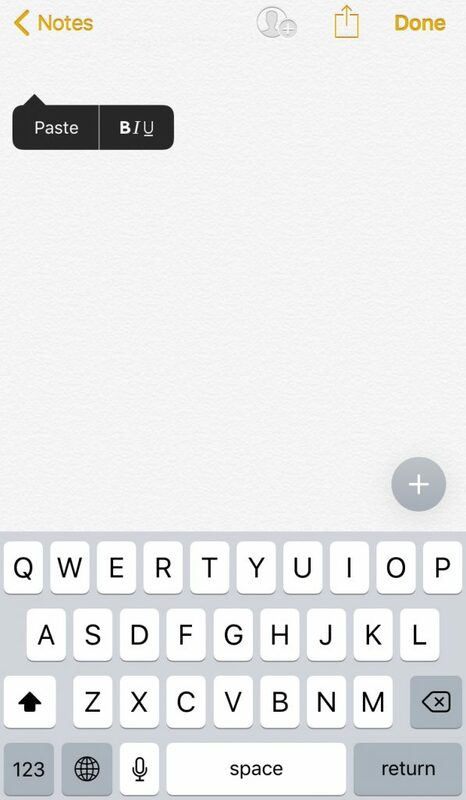 Tap the “…” at the bottom of the photo you want to save. Right-click and choose View Page Source. This will open a new tab with codes. Press Ctrl+F and enter .jpg in the search box. 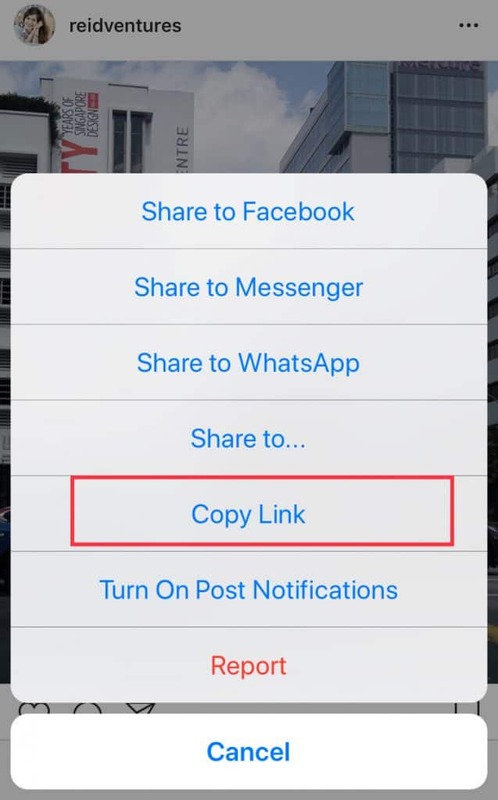 Highlight the first link with a .jpg you’ll find and copy it. Open a new web browser and paste the link. The image will appear and you’ll be able to right-click and save the photo. You can use third-party apps or websites that allow you to save or download Instagram photos. 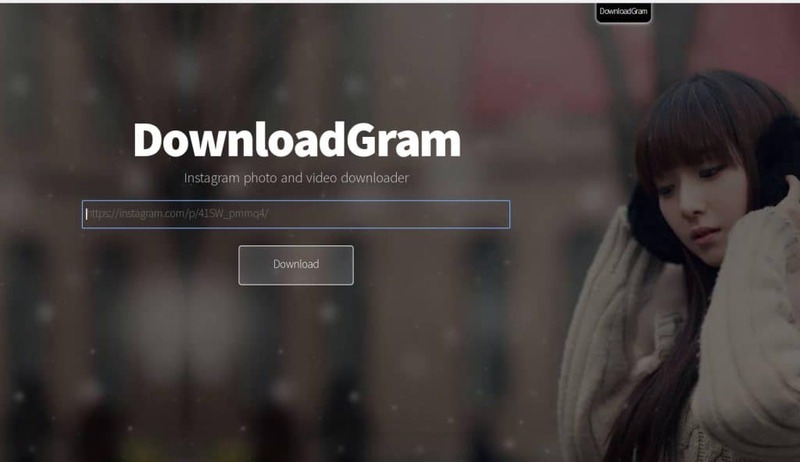 DownloadGram offers the least risky and easiest method. Simply copy the URL of the post. Open DownloadGram’s website in your browser. Paste the URL into the box. Click the download button. Lastly, click the download picture button to save. 4K Stogram claims to download Instagram photos, videos, and stories. Simply install this program to your desktop. Enter the Instagram username or hashtag and click Subscribe. However, for unrestricted use, you’ll need to buy a license key. Although there are plenty of third-party apps available, they won’t always work. Most of these applications can’t provide seamless downloads. Instagram is very strict and reviews all requests for access. To be on the safe side, use Instagram’s collection feature. Or go with the options presented above.